Enterprise | Leader of Optical Glass --- Visiting the Innovative Practice of "Invisible Champion" Gobija-Corporate news-Hubei Gabrielle-Optech Co., Ltd.
"This H-K9L optical glass is a key product independently developed by the company. At present, the market share of the single product is more than 40%. It is widely used in the production and manufacture of cameras, projectors, telescopes and other electronic equipment. The product orders have been scheduled for next year." On July 4, in the workshop of Hubei Gobija Photoelectric Technology Co., Ltd., General Manager Yu Guoqiang pointed to 10 production lines operating at full capacity and talked with reporters about the company's production and marketing situation. Against the background of accelerating capacity and inventory removal in the traditional glass industry, Gobija, with "new momentum", is facing opportunities, not crises. Gobija, born in Hangzhou, is an invisible champion enterprise engaged in research, development, production and sales of crystal process glass. Over the years, the company's production of various high-quality crystal process glass in Zhejiang, Guangdong, Jiangsu and other places sell well, market share of nearly 40%, ranking first in China. "It's better to make the transition choice early than late." In December 2009, the company was invested by investment. In the process of plant planning and construction, the company management has launched a heated discussion on the quantity design of crystal glass production line. Yu Guoqiang recalled that the production experience of crystal glass could be replicated, and profits were immediate. Many colleagues insisted on continuing to expand production. However, the situation and risk of shrinking market and overcapacity of traditional glass industry have become more and more serious, so it is better to take the initiative to seek transformation. There is no way out without transformation, but how and where to turn? Yu Guoqiang said that from the first day of his residence in Zigui, the company listed the transformation and development as "No. 1 Project", inviting experts from universities and scientific research institutes to inquire about pulse and organize technical personnel to study in other places. 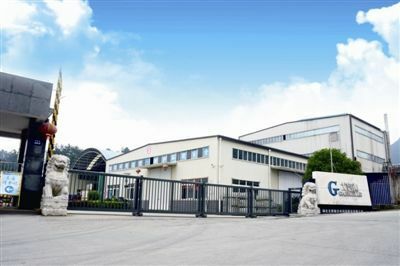 After investigating the market demand of products and judging its own reality correctly, the company decided to seize the development opportunities of modern optics, optoelectronics and information technology, focusing on the R&amp;D and production of optoelectronic glass and optoelectronic products with high-tech content, high added value, low consumption and friendly environment. From crystal glass to optical glass, behind the difference is an almost insurmountable technical barrier. Yang Jingshun, chief technical engineer of the company, led the reporter to a production line of Oxygen Electric Mixed Melting, which was independently developed and designed by the R&amp;D team of the company. "Optical glass industry is an oligopoly industry with high financial and technical barriers, and the tooling equipment industry is non-standard equipment. The company should not only have innovative ability in optical glass research and development, but also have innovative ability in manufacturing and research of melting optical glass equipment. We can only start from scratch and find suitable product formulation and melting through continuous experiments. Technology, a little bit to break the bottleneck. Yang Jingshun said that after three years of technical research, the production line was put into operation in 2016, with an average daily production capacity of 5 tons. It mainly applies optical imaging, photoelectric signal transmission, photoelectric storage, photoelectric display screen and other fields to provide core component materials for cameras, cameras, gun aiming and other products. Turn around and walk into the new world. Once the optical glass products independently developed by the company were put into operation, they quickly occupied the market. Excellent market performance further strengthens the determination of Gobija's transformation and development. Since 2015, the company has accelerated the pace of industrial optimization and upgrading. While expanding the production scale of optical glass products, it has steadily intensified technological research and development efforts. It has successively completed patent authorizations for the preparation of a titanium-containing high-niobium low-lanthanum optical glass, an optical glass and its preparation methods and uses. Nowadays, the key technologies such as all-electric melting furnace and all-oxygen combustion technology, which are independently developed by Gobija, are in the leading position in the industry. In 2017, the sales of optical glass products reached 150 million yuan, accounting for 75% of the company's total sales revenue. "In the critical period of our growth, Yichang State Investment Industrial Investment Fund has helped us." Yu Guoqiang said that on January 19, 2016, Gobija was listed on the new third board. In the process of enterprise's transformation and development, the investment capital injected by Yichang State not only strengthens the investor's confidence, helps the company successfully complete the financing task, but also adds vitality to the start of new projects. At present, the project of aspheric lens material with high refraction in the field of automotive lighting and display industry has been completed and will start construction in the year. With material as the center, Gobija, the industry leader, is constantly expanding the boundaries of "a piece of glass" and innovating "breakthrough" in the development direction of biomedicine, optical fiber communication, infrared laser and other industries.